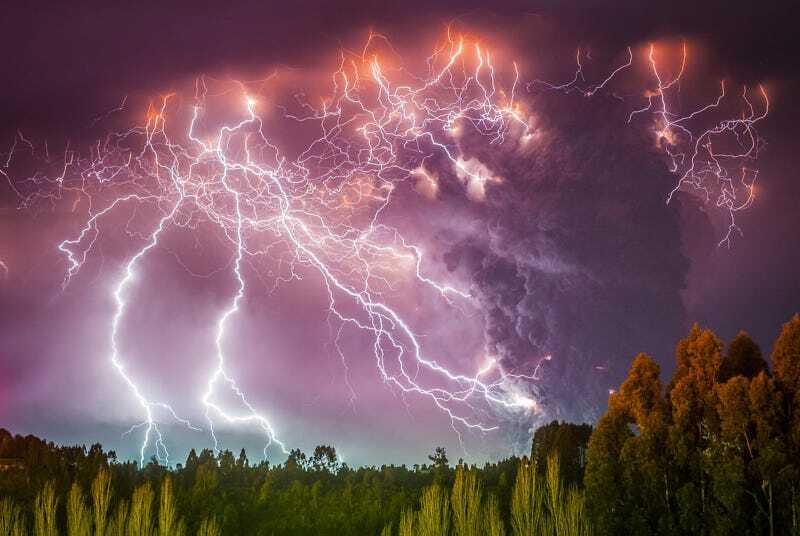 The first photos, the one with the lightning, were taken from Lago Ranco, a town 10 kilometers from the volcano on the second day of the eruption. There's no risk in those ones. There are some of lava coming out ten months after the eruption at one kilometer from the crater. That was risky because we had to stay there for the night. Thank God, the volcano allowed us to return safely. On June 4, 2011, the complex volcano Cordón Caulle started an eruption process that still lasts. During the first days, hundreds of families were evacuated and hosted in in schools to prevent any fatalities. The eruption turned air traffic in South America into chaos. While the activity has waned, the ash rain over Rupumeica, Puyehue and Riñinahue has caused many health problems to the people, animals and farming of these regions. The authorities have not communicated if the ashes are toxic or not, so the inhabitant keep living surrounded by them. Chilean photographer Francisco Negroni is the founder of South Press Agency, where he works for different agencies like AFP, Reuters, EFE, AP, and Globalpost. In 2012 he worn the He won the 2012 FOTOCAM world photography contest for one of the photos of the Cordón Caulle eruption. You can see his work at South Press Agency, 500px, and his personal page. You can also buy fine prints of his outstanding work here. This is part of a series in which we are featuring futuristic, alien-looking or just plain awesome photos of landscapes, objects and cityscapes. If you are a photographer with such work, please drop me a line here.